The right fertilizer enriches your soil. Learn about soil types in this slideshow. Understanding fertilizer is important for both organic and inorganic gardening. Whether you grow vegetables, flowers, herbs, or trees and shrubs, plants require nutrients, and understanding fertilizer will help you provide plants with the nutrients they need to grow healthy and strong. Many articles on understanding fertilizer sound like an advanced college chemistry course. Macronutrients versus micronutrients, soil testing, NPK numbers and ratios have put off more than one gardener, who exits the garden center empty-handed and confused. Understanding fertilizer starts with understanding the role of fertilizer in the garden. In nature, as plants remove nutrients from the soil, many natural processes replace nutrients over time. Soil bacteria and microorganisms produce many elements. Rocks naturally break down and add valuable minerals to the soil. Plant matter, from falling leaves to decaying trees, also puts materials back into the soil. Animal feces and decomposing animals also add valuable nutrients into the soil. When you look on the bag of fertilizer, you'll see three numbers. Nitrogen (N): The first number indicates how much nitrogen is in the fertilizer. It is represented by the chemical symbol N. Nitrogen helps plants produce chlorophyll, the green pigment they need to manufacture their food and the substance that gives leaves their green color. Nitrogen improves leaf quality and strengthens the whole plant. Phosphorus (P): The second number on the fertilizer bag tells you how much phosphorus is in the fertilizer. The chemical symbol is P. Phosphorus promotes rapid root growth and flowering. It also helps the plant become more efficient at photosynthesis. Potassium (K): The last number stands for potassium, and the symbol for potassium is K. Potassium builds strong, healthy plants and helps them ward off many diseases. It encourages flowers and fruit development. Some fertilizers contain more of one chemical than another. Bags of just nitrogen, phosphorus, or potassium may also be purchased. Reading and interpreting the ratios of these three nutrients is important. Each number represents the percent of each element contained in the fertilizer. The percents may not add up to 100. The other materials in the bag of fertilizer may be inert materials, trace elements or micronutrients such as calcium, magnesium, and sulfur, or other chemicals to help the fertilizer break down.Some fertilizers contain an even ratio, expressed as 10-10-10 or 20-20-20. This means that there are equal amounts of nitrogen, phosphorus and potassium in the bag. They are called balanced fertilizers. Another common garden fertilizer, particularly for flowering plants and vegetables, will have the middle number or the percent to of phosphorus double that of the nitrogen and potassium. The most common is 5-10-5, but you will find many other percentages. 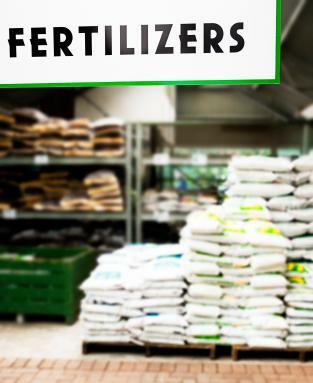 Fertilizers can be applied to the soil or mixed with water and sprayed onto the plants. The type of fertilizer used depends on the fertilizer and plant. Before buying fertilizer, it's a good idea to get your soil tested so you know exactly what nutrients the soil needs. While balanced fertilizers such as 10-10-10 and common fertilizers like 5-10-5 are usually safe for most plants, some plants need different ratios. Most plant care guides mention the type of fertilizer to purchase. Some fertilizers are for specific plants. 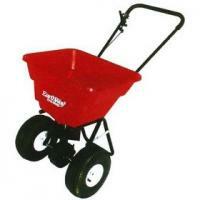 There are fertilizers for roses, vegetables, shrubs, and many other types of plants. Understanding fertilizer includes understanding organic fertilizers. As the organic gardening movement continues to grow, many home gardeners are eschewing petro-chemically created fertilizers and are looking instead for organic means to feed their plants. Seaweed and fish emulsion fertilizers are favorite choices for organic gardeners. They are indeed created from naturally growing seaweed or byproducts of the fishing industry. Both fertilizers are organic, safe to use in most gardens, and provide macronutrients like nitrogen, phosphorus and potassium as well as many trace elements from the ocean. Animal manures remain an old-fashioned standby for organic gardeners. Not only do they improve soil nutrients, they also improve soil texture. Always let manures age or break down before planting in areas where you've spread manure. They can burn tender plants if spread when too fresh. The organic gardener's best friend is compost. Compost, or decomposed plant material, contains vital macro and micronutrients, improves soil texture, and builds plant health. Compost is black gold! You can buy it, but you can also make it easily and cheaply at home by recycling lawn, garden and kitchen scraps. Before fertilizing an area, have the soil tested to better understand which nutrients are needed. Select fertilizers based on plant needs. Inorganic fertilizers are made from chemicals. Organic fertilizers come from plant or animal sources. The numbers on the bag represent the ratio of nitrogen, phosphorus and potassium. If applying lawn fertilizer, run the fertilizer spreading equipment in the same direction with each pass along the lawn. Otherwise your lawn will develop stripes. Never over fertilize. Too much fertilizer hurts more than helps. Follow plant care and package directions. Organic fertilizers can be made by composting or spreading manure, but always allow both compost and manure to age, or fully break down, before applying to the garden.